Choose the color of your choice for Barbie's outfits. Color in your own Barbie coloring book. Pick your favorite colors and color Barbie! 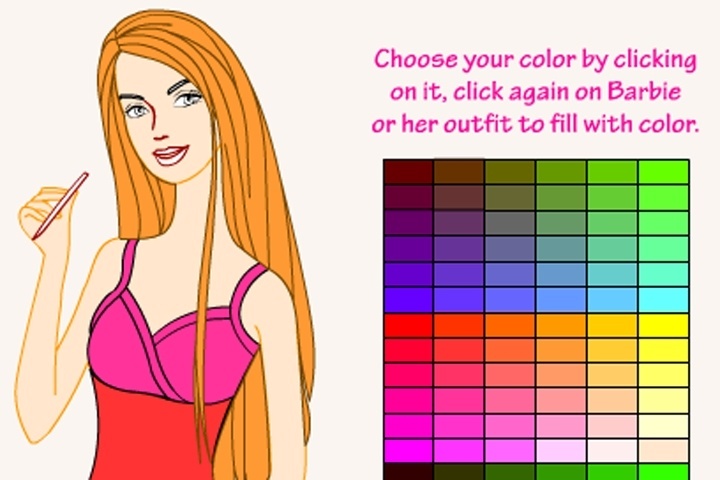 Click on the color of your choice and click on Barbies clothing that you want to color or change color of. If you want to play Barbie Coloring Book games online you have come to the right place! GamesLoon adds new Barbie Coloring Book games every week. This is your game portal where you can find the biggest collection of free Barbie Coloring Book games online. Do not forget to rate our Barbie Coloring Book free online games while playing!